Introduce Papaki to your friends and earn Gold Coins! Earn up to €15 for every friend you refer! Every time you refer a friend, both you and your friend earn Gold Coins, that you can use at Papaki! Find the unique code or copy-paste the referral link, available in your control panel. Send it to friends via email, Twitter, Facebook, or your website. The more you send it, the more chances you have to earn Gold Coins! Your friends buy services from Papaki through the link or by manually adding the unique code in the field "Discount/Refer Coupon", during their order. Earn up to €15 for every friend that buys from Papaki. 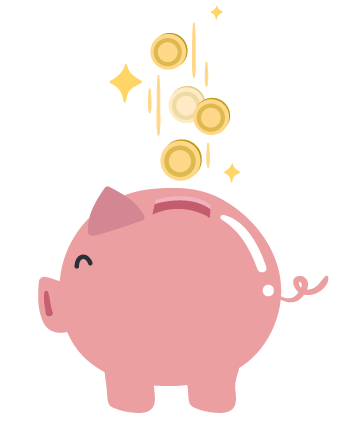 The amount is added automatically to your account, in the form of Gold Coins. Why Refer a Friend to Papaki? You just need to have a purchased service with Papaki, to access the referral link in your control panel. Send the referral link to your friends and you are ready to start earning Gold Coins! No limits on Gold Coins! Earn up to €15 in Gold Coins, for every friend you refer. You can use the Coins for future renewals or purchases of services at Papaki, besides domain names. a. you need to be a Papaki customer, thus having at least one paid service in your account. b. your friends must not have any services purchased from Papaki. When a friend, to whom you suggested Papaki, purchases services, then you both earn Gold Coins! The amount is automatically added to your account (€1 = 100 Gold Coins) and can be used for new purchases or renewals of services at Papaki, besides domain names. For purchases up to €20 you earn €5 (500 Gold Coins). For purchases higher than €20 you earn €15. (1500 Gold Coins). Learn more about Gold Coins. Similarly, you can select another design from the I love Papaki page and insert your referral link. No! Every Papaki customer, that has at least one purchased service in their account, can use the referral link available inside the control panel. Alternatively, you can send directly the unique code, and your friends simply need to add it in the field "Discount/Refer Coupon" during their order. How does Papaki detect corresponding purchases? The referral link you send to your friends includes a unique code, that is automatically inserted to your friends' orders. This code is corresponding to you and only you, and Papaki can easily and automatically detect all related orders. How many Gold Coins can I earn? There is no limit to your earnings. The more you send your referral link, the more chances you have to increase your earnings. With every purchase up to €20, you and your friend earn €5 (500 Gold Coins) each, and with every purchase of more than €20, you each earn €15 (1500 Gold Coins). How can I use these Coins? Your earnings are automatically added to your account in the form of Gold Coins (€1 = 100 Gold Coins). You can use the Gold Coins after 90 days from the purchase date, for new purchases or renewals of services, besides domain names. You cannot have Gold Coins transferred to your bank account or converted into Papaki credits. Why do I need to wait for 90 days to use my Gold Coins? Papaki offers all customers a 90-day money back guarantee with web hosting and other services. We simply need to know that the account you referred has cleared this 90-day period, before we credit yoru account. Can I refer an existing Papaki customer? No. To be eligible to earn Gold Coins, you must refer a NEW customer. What does "new customer" mean? New customer is a user that has never purchased services from Papaki. This means that if you already have an account at Papaki or you are a reseller, and you open a new one, that does not mean you are a new customer. E.g. If we already have your billing information, that means you do not qualify as a new customer. For any questions please feel free to contact our Support Team. What if a friend forgets to enter the unique code? Please, make sure your friends click the link or manually enter the unique code. If they don’t, we are unable to add the corresponding Gold Coins. Can I use the referral link to buy services for myself? No. The goal of the program is to introduce Papaki to friends that are not yet our customers. For existing customers there are discounts according to according to their badges. Which are the differences between Refer a Friend and the Affiliate program? The Refer a Friend program is a simple and fast way to earn at Papaki and you do not need to sign up as it usually happens with an affiliate program. On the contrary, the Refer a Friend program is automatically activated & available to all existing Papaki customers via their control panel. Another difference is that for every refer you earn Gold Coins and not cash. Yes. You can use the banners found at I love Papaki page. On the right of each banner you can find the piece of code you need to insert to your website.